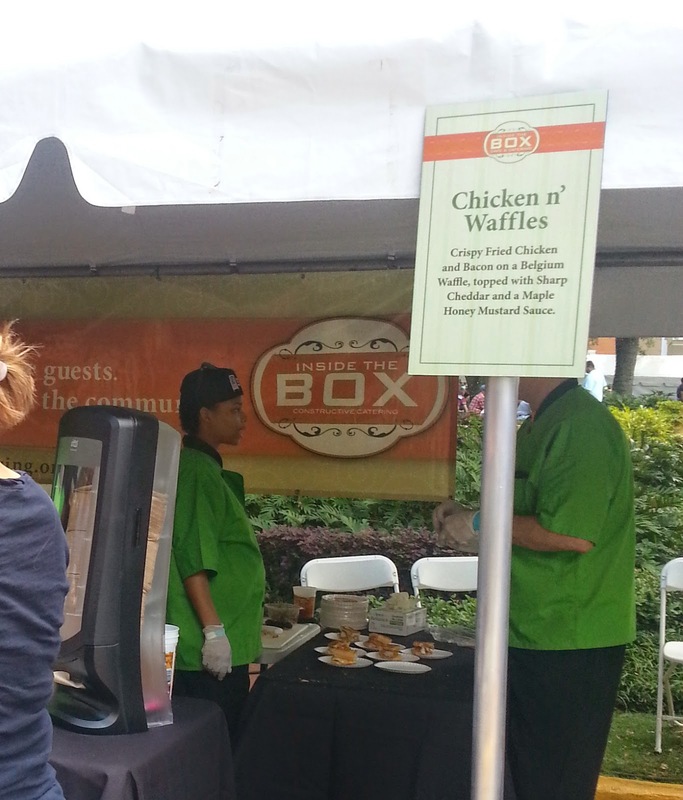 On Sunday April 13th I attended my first Taste of South Tampa. 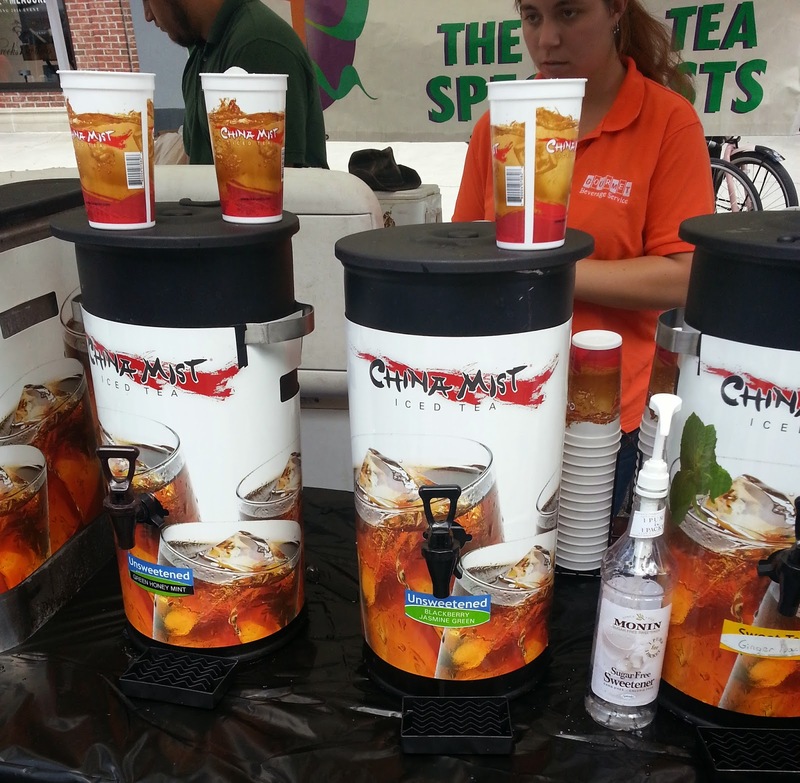 It was located in the streets and courtyard of beautiful Hyde Park Village. The cost was $35 in advance and $45 at the door. The tickets were all inclusive. That means that everything was free and unlimited once you were in the event. There was a small line to get in when we arrived, but it moved quickly. After dropping off our donations for Metropolitan Ministries ( I love that they worked in a way to donate to charity at the event! ), we were ready to have some fun and try some good eats. China Mist had about a dozen different iced teas (some sweetened, some unsweetened) with large plastic cups full of ice. We tried a few different flavors and they were all delicious. We ended up hitting this booth up several times during the event for refills. If there had been a non-food award, China Mist would have won it. We then proceeded around the tables snatching a variety of different food samples. I realized pretty early on that it was really hard to have my phone/camera out while carrying a cup of iced tea and a plate of sample food. There wasn't really a place to set everything down. So, I didn't get pictures of everything. We had mashed potatoes with sausage and gravy from Irish 31 that were really good. 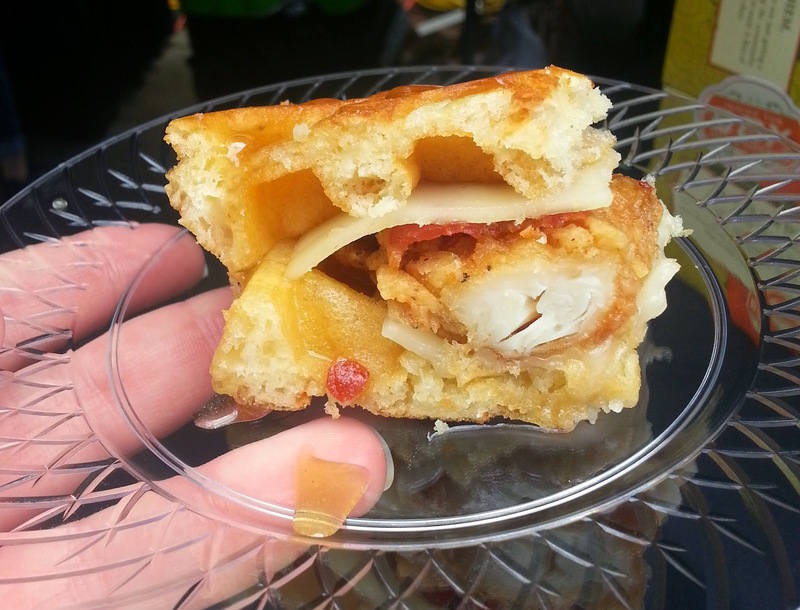 Then we had Chicken and Waffle sandwiches from In the Box Catering. These were super impressive. Definitely one of the best chicken and waffle combinations I have had. The chicken had an excellent crust, it had bacon and it was all drizzled with a fantastic maple honey mustard sauce. Yum. 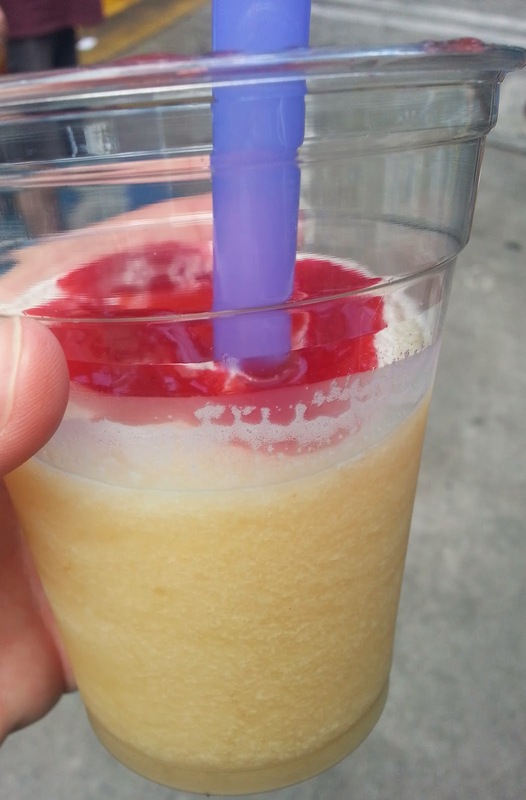 Our next stop was Big Crush Slush Co. I had a Lemon Citrus Crush with Strawberry. It was really good and not overly sweet. Since it was hot outside, this baby disappeared quickly. Our next stop was one that really shocked me. Holiday Inn Westshore had their Blue Water Grill restaurant there and the food was amazing. They had Elvis milkshakes with peanut butter, banana and bacon. SO up my alley and extremely delicious. 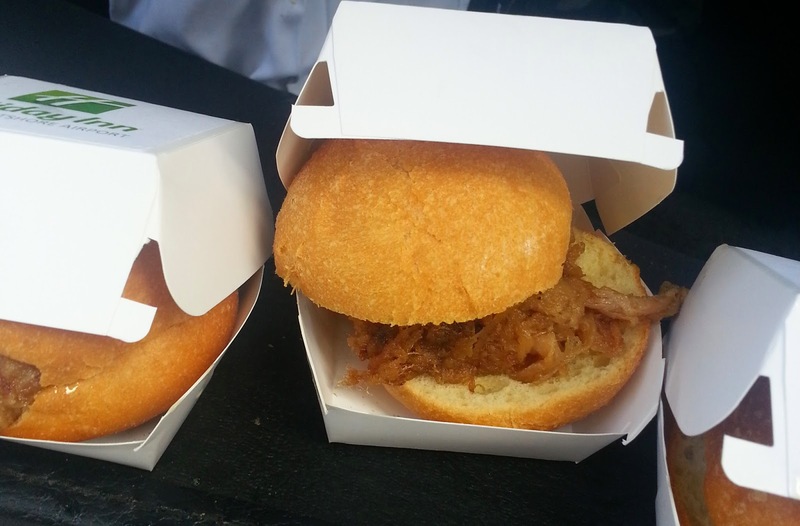 They also had really good pulled pork sliders. I am normally not a fan of coleslaw on pulled pork, but theirs was really flavorful and complemented the pork nicely. 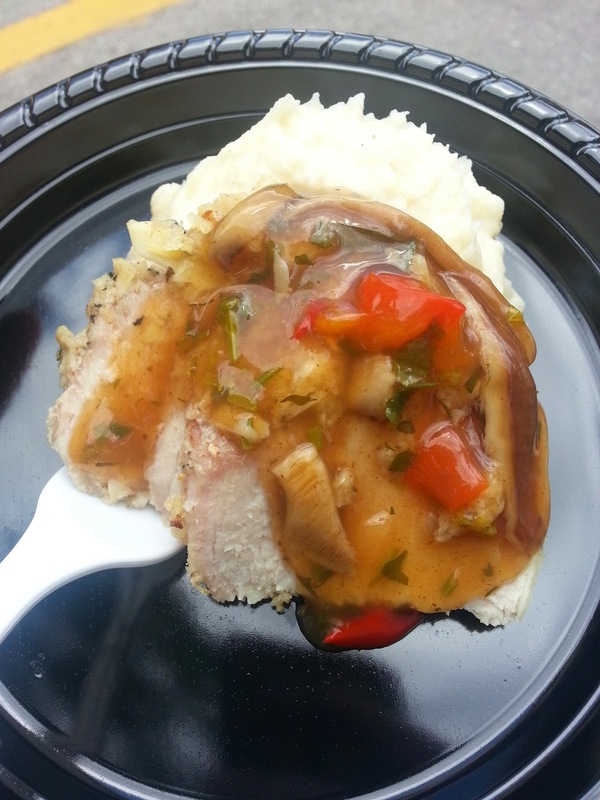 We then stopped by Kona Grill and grabbed a plate of their pork with gravy and mashed potatoes. I really loved the flavor of the gravy, but my Husband didn't care for it because it was on the thin side. At this point we weren't even halfway through the vendors and we were getting pretty full. We started splitting all of the samples. We wanted to taste as many of the awesome restaurants at this event as possible. We had some goulash and potato salad from Austrian Peppers next. I have never had goulash before and it was pretty interesting. The meat was delicious. 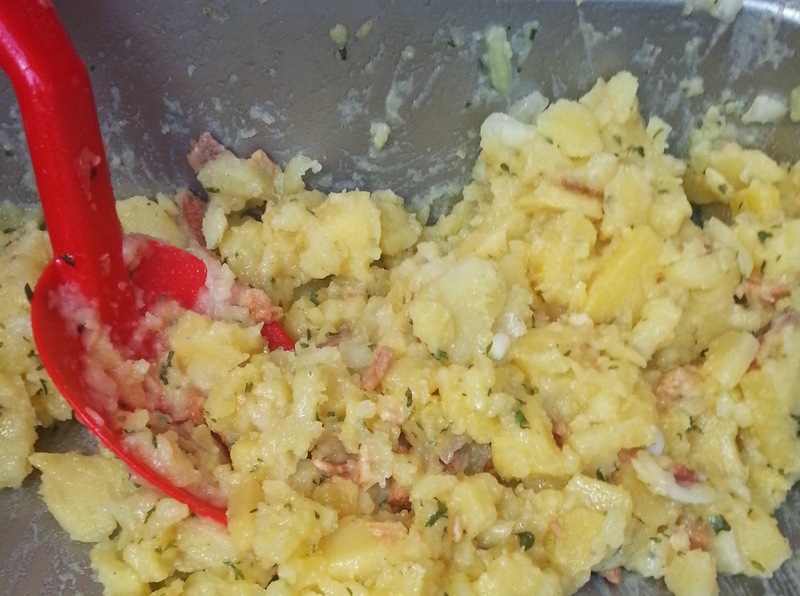 I also really loved their potato salad. While we were eating our food for Austrian Peppers we had someone ask us if we were in line. We said no and then looked up to see what they were talking about. Few food vendors had lines and most of them were not long. Terra Sur had a LONG line that was wrapped across the front of the Pottery Barn. We decided that we SHOULD be in that line and hopped in it. 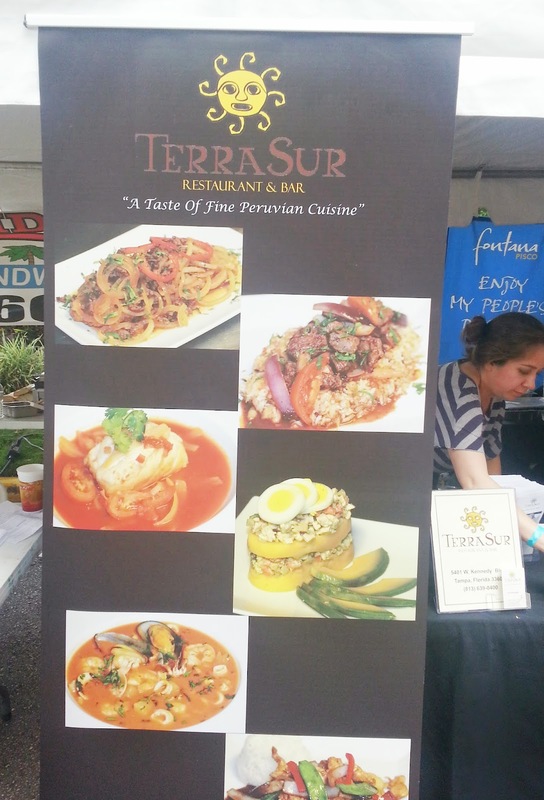 I unfortunately did not get a picture of the food we had from Terra Sur. They had handed me a shot and a glass of Sangria (which was amazing!) while in line...so I had my hands full! They had over a dozen items to try from their menu and they were all amazing. Terra Sur ended up getting my vote for best restaurant. At this point we were super full and started skipping a lot of the restaurants and going more for the alcohol. We picked up samples at Two Henry's Brewing, Florida Cane Vodka, Drink Local Booze and Ship Yard Brewing. Ship Yard's Blueberry was my favorite. It is something I drink regularly already. They gave it out ice cold and in shot glasses. 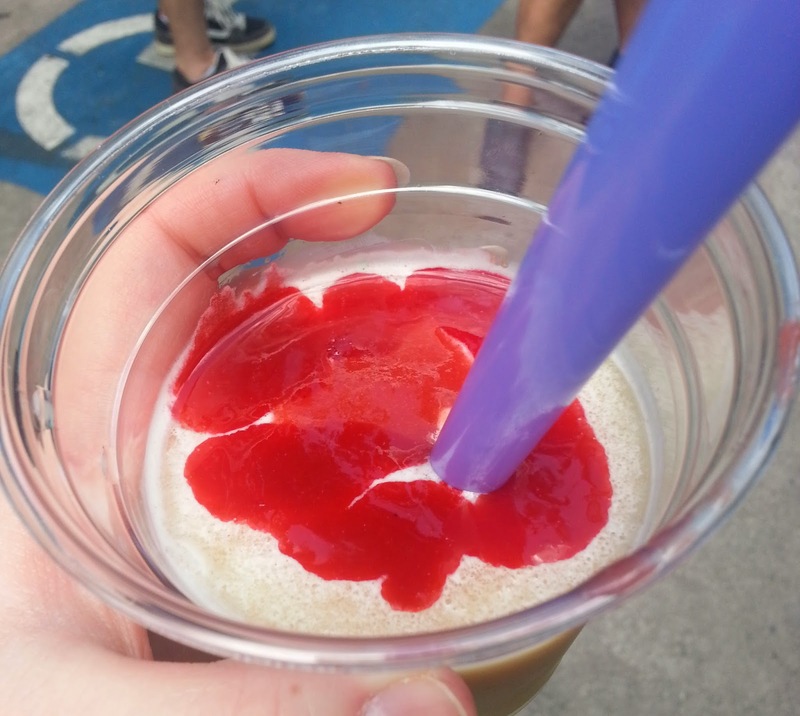 It was so refreshing on a hot day. We did manage to eat a tiny bit more food. We had a delicious HUGE meatball from Anthony's Coal Fire Pizza. It was one of the best meatballs I have ever had. I need to visit them soon. It addition to all of the awesome food, there were some non-food vendors. My friend Katie was there with Massage Envy and they were giving out free massages. There were also booths and play zones from the Bucs and the Rays. The Tampa Bay Lightning had a huge booth. There was even a play area for dogs with plastic pools for them to splash and cool down in. Hyde Park Village has a gorgeous center courtyard with a water fountain and lots of trees. 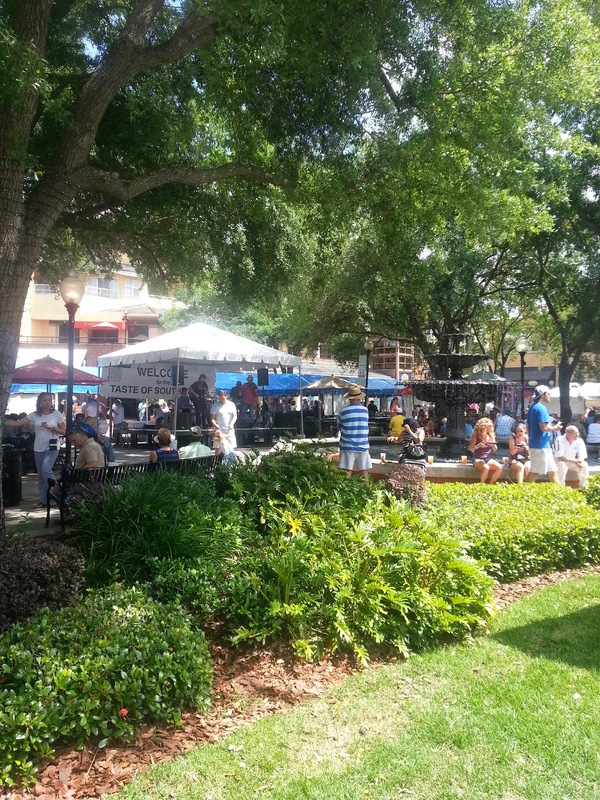 The vendors of Hyde Park Village were also open during the event. So, there were plenty of places to find shade and escape the heat if you wanted. We toughed it out and enjoyed the sunshine and the event the whole time. 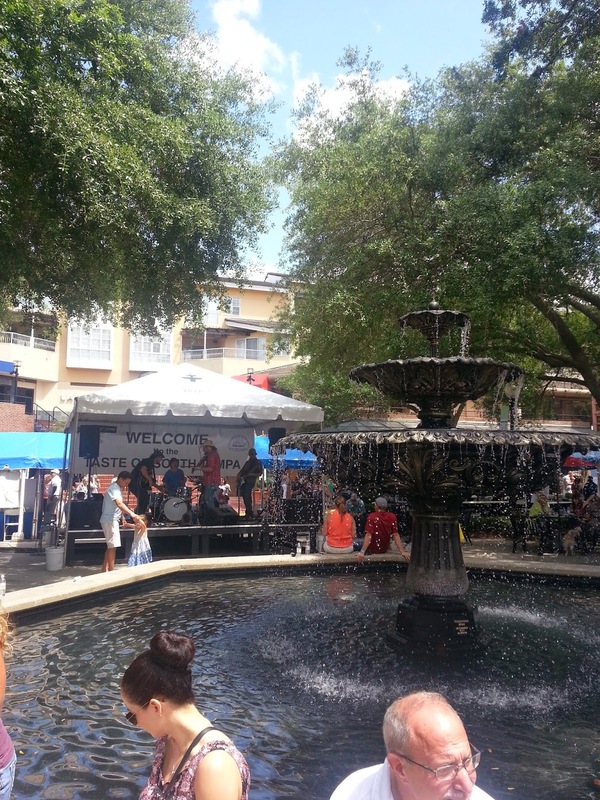 Taste of South Tampa also had a stage set up with live entertainment playing throughout the event. *Disclaimer: I received a pair of free tickets in exchange for helping the South Tampa Chamber of Commerce promote this event. I was not compensated in any other way. All opinions are completely my own. We were in Austin so missed this - looks DELISH! It looks like I missed out on a SUPER fun event. :) The food all looks AMAZING! This looks like a lot of fun!!! Thank you for sharing.